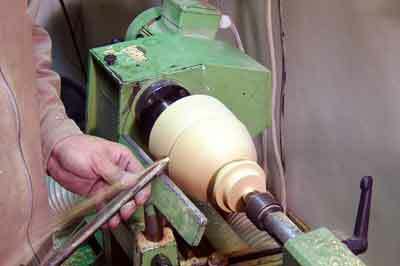 There are other options available when making hollow forms that enable greater access for the hollowing process. 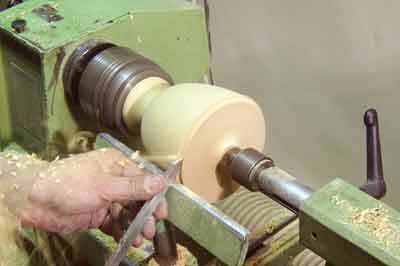 Another option for this is parting off the front of the form, which after hollowing is then reinserted into a recess slightly smaller than the diameter of the form itself. 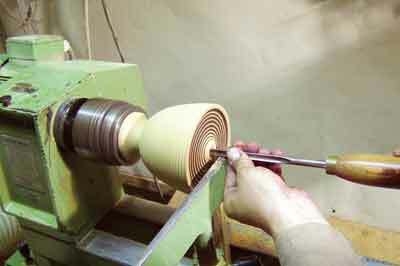 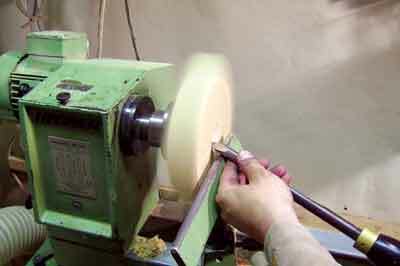 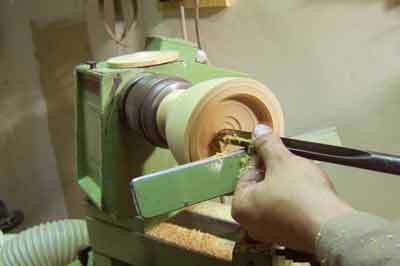 This method is similar to the process for box making and enables a small hollow form to be made without the use of a dedicated hollowing tool. 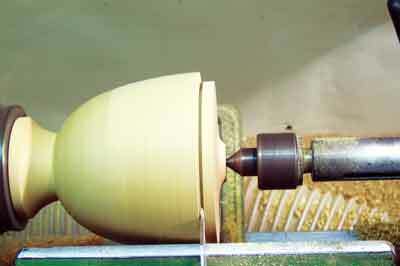 Within this project I have used a bowl gouge to remove the material inside the form. 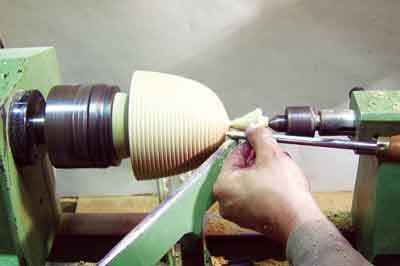 For a deeper form a hollowing tool should be employed due to the overhang of the tool tip from the toolrest. 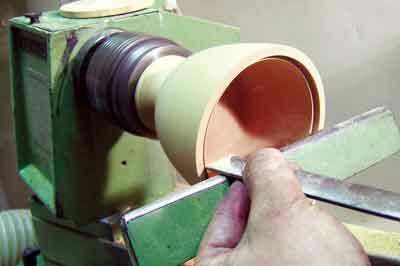 I have designed this hollow form so that not only the need for a hollowing tool is removed, but also the sanding/finishing process is almost nonexistent. 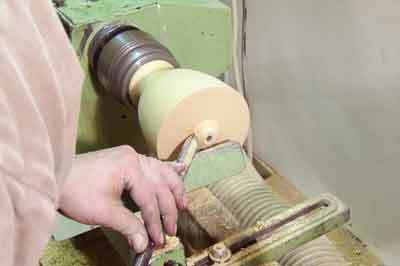 This is because texturing and scorching are used instead to add visual interest to the off-the-gouge finish, which is used here. 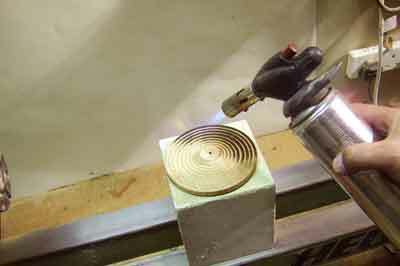 Adding to the presentation of the final piece, the form has been designed with a round base. 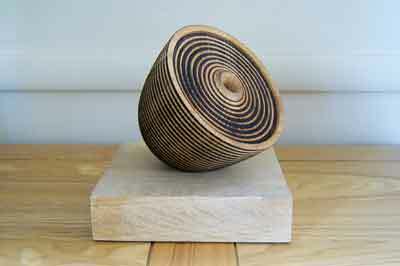 It is placed onto a plinth which has a small concave recess turned into the top surface; this way the form can be articulated into different positions to give a sculptural feel. 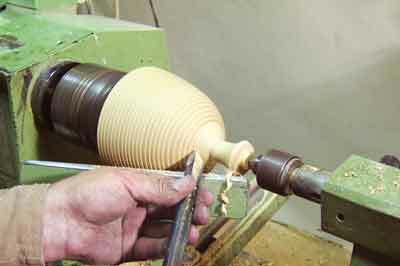 The idea can be adapted to include staining and other forms of texturing. 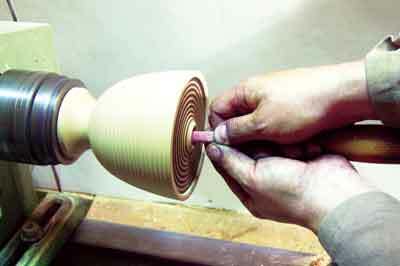 By experimenting, design alternatives are possible. 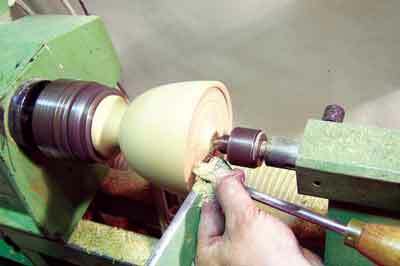 Try different texturing effects such as using a stonemason's scutch hammer to mark the wood before scorching. 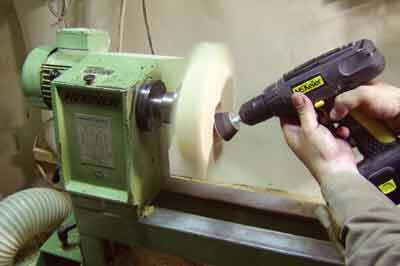 You never know what new texturing ideas you will come up with. 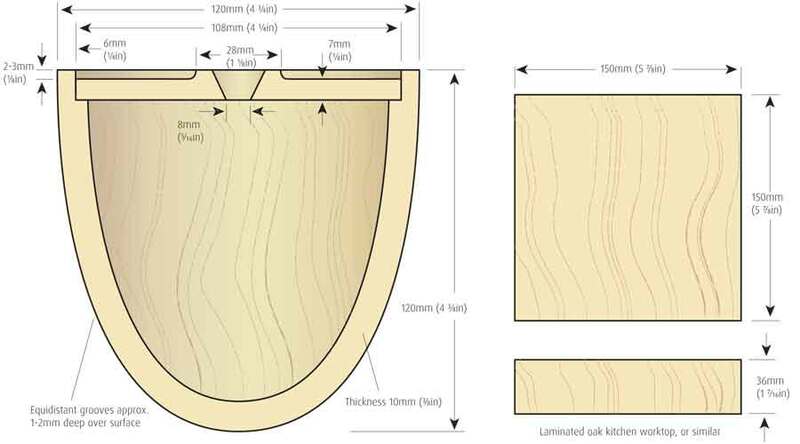 For this project I used an oak (Quercus robur) post measuring 120mm square x 170mm long and a piece of laminated kitchen worktop measuring 150 x 150 x 36mm. 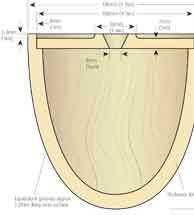 The project can be scaled down proportionally for 100mm square material.